To support forest companies in the process towards FSC certification, the Congo Basin Program has identified 9 services it can co-finance. These services are delivered to the companies by so-called service providers. All service providers the Congo Basin Program works with are listed in the Services catalogue (1.6 Mb). Every year, the Congo Basin Program updates its services catalogue. 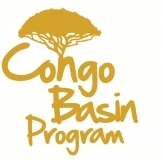 This means that new organizations or individuals who’re interested to become service provider in the framework of the Congo Basin Program can submit a proposal for one or more services. Deadline for submission is 21 June 2013. For more information about the tender, click here (381.3 Kb). To submit a proposal you are invited to fill out this form (645.5 Kb).